Purchase links: Kindle, paperback. Kindle Unlimited members may download From Seed to Table for free. 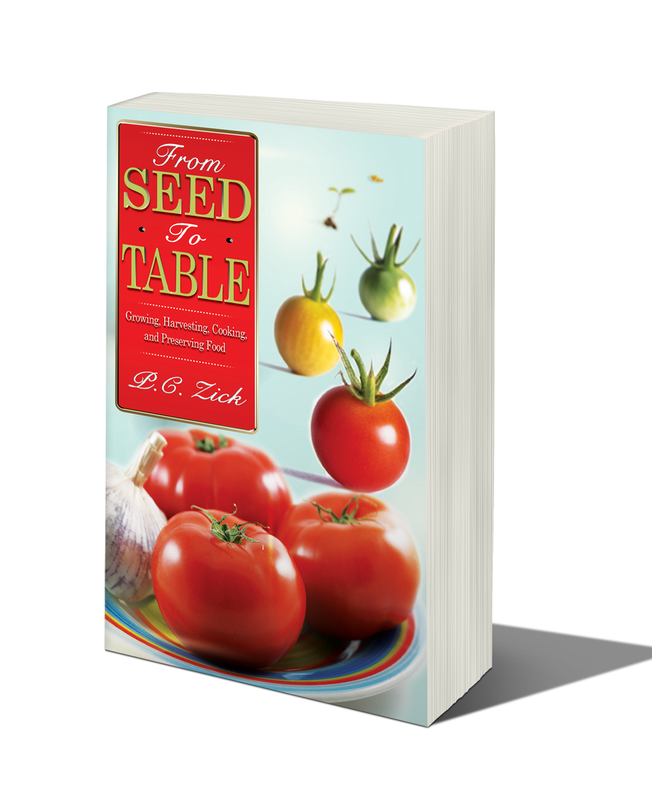 From Seed to Table offers the personal experiences of home gardening by my husband and me. Starting with winter, the book follows each season from the garden to the table. Gardening tips, as used by us in our western Pennsylvania vegetable garden, are given along with preserving tips and recipes throughout the whole year, including suggestions and recipes for canning and freezing vegetables. We hope some of our experience will inspire others to grow their own food and to eat local food as much as possible. While not an exhaustive reference for all gardening, preserving, and cooking techniques, it is filled with firsthand experience from an experienced gardener (my husband) and a veteran cook (me).